Sophomore guard Terry Nolan Jr. drives to the basket during Saturday's game against Valparaiso. Where: Smith Center, Washington, D.C. When: Friday, Dec. 14 at 7 p.m.
Men’s basketball rounds out a tough three-game homestand when GW hosts Howard Friday. The Colonials (2–8) have split their last two games, gutting out a tightly-contested win against Towson 68–64 before letting Valparaiso slip away with an 82–79 win. The Bison (6–3) are coming off a close 85–83 victory against fellow D.C. team American after trailing the Eagles by four points heading into halftime. The Colonials have had nearly a week of rest to tune up after two rough outings before they face off against the Bison Friday. With junior forward Arnaldo Toro sidelined for the rest of the season and redshirt junior guard Armel Potter sitting out the past four games, the Colonials’ sophomore class has been stepping up. Sophomore guard Maceo Jack had a breakout performance against Valparaiso, racking up 23 points and four rebounds, and sophomore forward Javier Langarica and sophomore guard Terry Nolan Jr. have also put up career-best showings in the team’s last two outings. GW shot a season-high 58.5 percent from the field despite the loss and four Colonials found double-digit scoring. If GW can keep up that deep and accurate shooting from the court, the points should pile up for the Colonials against a Howard team that allows opponents to pick up an average of 80.3 points per game. The Colonials might also be able to pick up more points from the three-point line against Howard. In their last three games, the Bison allowed opponents to rack up an average of 10.6 three-point shots per game while being held to 4.6 made shots from the same space. With sharp-shooters like Jack heating up for GW, the undersized Colonials should look to take advantage from the three-point line. Howard enters the contest with the upper hand in scoring, averaging 88.0 points per game and housing a pair of players averaging 20 or more points per game. Sophomore guard RJ Cole leads Howard with 21.4 points per game to his name while shooting 33.3 percent from beyond the arc on the season. Junior guard Charles Williams enters with 20.1 points per game to his name while going a team-high 42.5 percent from the three-point line for the Bison. Redshirt junior guard Chad Lott rounds out Howard’s top-three scorers with 15.8 points per game. With all three top-scorers for the Bison outscoring the entirety of GW’s roster, the Bison should easily be able to flood the scoreboard. The Bison also take care of the ball better than the Colonials, averaging 12.4 turnovers per game while forcing opponents to give up the rock 16.6 times per game. With Howard averaging 7.9 steals per game, the Bison’s defense will likely take advantage of any GW miscue. With the Colonials averaging 13.3 turnovers per game, the Bison should be able to pick up free points against GW. Howard has shown it can go the distance and close out tight contests, with two two-point wins over California Baptist 86–84 and most recently American 85–83. While the Colonials have tested their mettle in a win against Towson, they have dropped more close games than they have won so far this season, including their three-point loss to Valparaiso Saturday. If the night’s game gets close, the odds are tipped in Howard’s favor for withstanding the battle. GW has seen a steady increase in point-production from its young sophomore class in recent games and employed a more balanced scoring effort. But the Colonials are still struggling to close out tight contests and if Friday’s game comes down to the wire, it is unclear which team will show up: the one that pulled out a close victory over Towson or the one that let Vermont run away with the win in the second half. 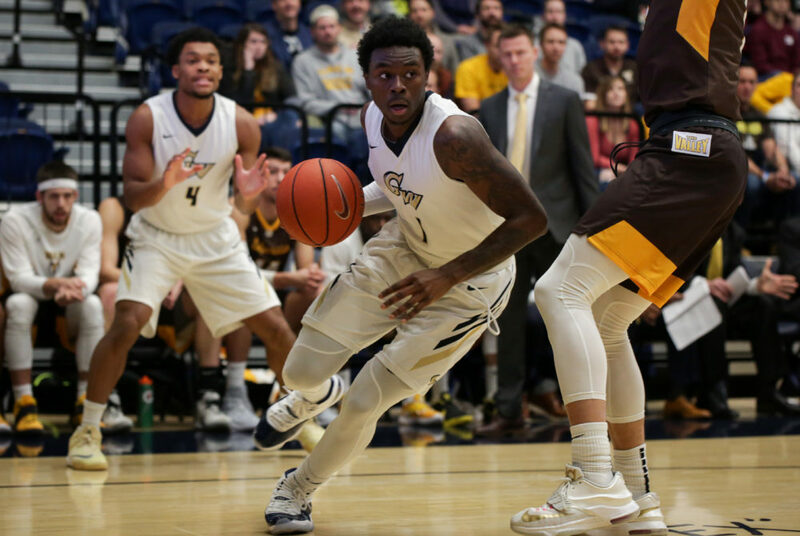 With Howard’s high-production offense and strong ability to disrupt opponents and knock the ball loose, GW would have to execute each part of its court strategy perfectly to pick up its third win of the year.